Delegate the dinner.Someone else can host the big family dinner while you bring a dish instead. You’ll have more time for decluttering and packing and keeping your home tidy for showings. That’s why you need to see the governing documents of the HOA, including the CC&Rs, – covenants, conditions, and restrictions. These are the rules of esthetics, conduct, maintenance, and security the homeowners voted to have, such as how many pets you can own or whether you can park your car on the street. Winterizing your home is one of the best ways to get comfortable and save energy costs. It’s not too late to get a few projects done before the holidays, so here’s a short weekend list of to-dos to help you. Equity is the percentage of market value that you own in your home. Your lender owns the rest, so your goal should be to pay the lender’s share (the principal) down and build your share (equity) up. Amid a thriving economy, the nation’s housing market remains strong, with home values rapidly rising and for-sale inventory diminishing. But some of the largest markets began experiencing a slowdown this summer as rising interest rates and surging home prices have made it difficult for some potential buyers to keep up.By July, inventory had perked up in a handful of the nation’s most competitive markets, giving those buyers more options and a bit of much-needed breathing room.2Whether that breathing room is just a pause or the earliest signal of an emerging buyers market will determine the extent to which buyers and sellers and their partner-agents recalibrate strategies to adapt to changing realities.The Zillow Group Consumer Housing Trends Report 2018 shows how Americans are adapting to a time when — despite signals of a coming shift — home inventory nationwide remains low and year-over-year appreciation in home values is still historically high.Renters also are seeing some relief with a recent slowdown in rent growth, but rent affordability remains worse today than it’s been historically and is strongly linked to homelessness, particularly in what have been some of the most competitive markets.3 Not all rent increases induce people to uproot, but renters frequently cite that experiencing a rent increase directly impacted their decision to move. Among renters who moved and experienced an increase, the typical monthly amount is $125.Buyers remain the most dynamic segment of the market, with Millennials, those between the ages of 24 and 38, comprising the single largest share of all buyers and the largest group of first-time buyers.They differ in significant ways from older generations in how they approach home buying and selling: their willingness to begin the processes alone, the types of homes they consider, the compromises or contingencies they’re willing to accept, the way they finance their home and their desire to be involved in each step along the way.Mortgages and down payments are a source of concern for all buyers. More than half of buyers worry about qualifying for a mortgage, and just over half put down less than 20 percent on their purchase. The strain has an especially strong impact on younger buyers, who are more likely to rely on family and friends for help cobbling together the funds to buy a home.Younger buyers with children have the longest list of wants and needs for a home, which reflects the complexity of their lives and the things they aren’t willing to compromise on. Older buyers, typically the least burdened by considerations about children and commutes, are casting a wider net than younger buyers for their next home, and even considering long-distance moves across state lines.The majority of sellers are responding to buyers’ needs by making at least one concession or allowance in order to sell their home with younger sellers making more concessions than older sellers.Homeowners, meanwhile, are in no hurry to uproot. They’re typically sticking with their homes for 16 years, though some stay much longer, contributing to the low home inventory.As you’ll see in these pages, renters, buyers, sellers and homeowners share a common goal: All are willing to invest time and money to create a home that provides a sense of peace and safety, suits their lifestyle and helps them and their families thrive. Today’s typical renter is a single, educated 32-year-old who earns a median income of $37,500 and shares a home with either a partner, children or a roommate. Seventy-eight percent of renters who move from one rental to another experience a rent increase prior to their move. Most renters move from one rental to another, but 46 percent say they considered buying a home during their last move. More than a third (37 percent) of renters choose to rent because they want to be able to move easily if their life changes, and 31 percent rent because they don’t want to be tied to a mortgage. One-third of renters (33 percent) know for less than two months they will move, while most (52 percent) know for less than three months they will need to find a new place. Seventy-three percent of renters use online resources to find a home. Forty-seven percent of renters call the suburbs home, while 40 percent live in an urban area and 13 percent live in a rural area. There’s a demand for online rental services: 39 percent of renters would prefer to sign their lease electronically, but only 23 percent do, and 58 percent of renters want to pay their rent online, but only 36 percent have that option. One in 3 (30 percent) renters end up paying more in rent than they had originally budgeted. Affordability is an obstacle for 46 percent of renters who rent outside of the area they originally considered. Only 52 percent of renters say they would be able to cover an unexpected expense of $1,000. Despite the hassles and stresses of moving, almost half (46 percent) of renters who moved within the past 12 months already have plans to move again, now or within the next year. Today’s typical American home buyer is a 41-year-old, college-educated couple with an annual median household income of $72,500 and aspirations for single-family living. Millennials, those between the ages of 24 and 38, comprise 42 percent of the nation’s home buyers. Nearly half (46 percent) of buyers are purchasing their first home. Today’s buyer spends nearly four and a half months, on average, looking for a home they will share with some combination of a spouse, a partner, children, parents, roommates, tenants and pets. Buyers rely on both online tools (79 percent) and agents (74 percent) to find their homes. Trustworthiness is the top quality buyers look for in an agent; 81 percent say their initial impression about an agent’s trustworthiness is very or extremely important to them. Nearly half (48 percent) of all buyers today purchase a home in the suburbs, while 31 percent buy in an urban market, and 21 percent purchase in a rural area. Just over half (58 percent) of all buyers who are successful in making an offer close on their first one. A quarter (25 percent) of buyers make two offers, and 17 percent make three or more. About three-quarters of buyers (76 percent) include contingencies in their offer, including inspections (47 percent) and financing (29 percent). Only 13 percent include the contingency of the sale of their current home. A quarter (25 percent) of today’s buyers find issues that go unrepaired without affecting the price of the home. Just over half (52 percent) of buyers put down less than 20 percent on their home. Of the 58 percent of buyers who compromise to stay within their budget, 31 percent compromise on their preferred home finishes, 30 percent buy a smaller home than planned and 29 percent accept a longer commute. Today’s typical seller is a 48-year-old, white, college-educated couple with a median household income of $72,500 and a pet. More than half (53 percent) of sellers are selling a home for the first time. The majority (61 percent) of sellers are also trying to buy a new home at the same time they are selling. At 31 percent, Millennials — those ages 24 to 38 — are the largest group of sellers. The vast majority (85 percent) of sellers work with agents, enlisting them to handle the paperwork (82 percent), find interested buyers (79 percent) and lead contract negotiations (79 percent). Trustworthiness is the top quality sellers consider when selecting an agent; 86 percent say it’s extremely or very important. On average, sellers make 2.2 renovations or improvements to their home before selling, with interior painting the most common improvement (36 percent of sellers paint). Forty-one percent of sellers say they had an offer fall through before their home sold. Eighty-three percent of sellers make concessions to finalize an offer. The top concessions: including appliances in the deal (32 percent), lowering the sale price (29 percent), and making minor repairs or improvements (29 percent). Most sellers (61 percent) make at least one change to their original list price; 31 percent of those sellers change the price twice, and 29 percent make three or more changes before their home sells. Sellers in the West are more likely to sell their home for more than they ask (28 percent versus 14 percent in the Midwest, 19 percent in the South and 24 percent in the Northeast). In addition, 31 percent of sellers in the West sell at their list price versus 27 percent in the Midwest, 24 percent in the Northeast and 23 percent in the South. Half of sellers (50 percent) say maximizing profit is their most important goal, while 38 percent of sellers prioritize selling within their target time frame, and 12 percent say making sure their home has a good next owner is the most important priority. The typical homeowner is partnered with a median age of 55 and a median household income of $72,500. More than half (64 percent) of homeowners view their home as a financial investment, while 36 percent say they see their home more as a reflection of their identity. Despite the growth of the short-term home rental market, 96 percent of homeowners say they don’t rent out their homes and have no plans to do so. Nearly half (45 percent) of homeowners still live in the first home they purchased, while 27 percent of homeowners have owned one home before, and 27 percent have owned multiple homes previously. More than half (60 percent) of homeowners say their homes could use a little updating in a few areas. The average homeowner made 1.7 home improvements in the past year, and nearly two-thirds (65 percent) plan to make at least one improvement in the next year. Only 28 percent of homeowners plan out their home improvements, and 9 percent say they do as little as possible or just enough to keep their home running. Most homeowners — 63 percent — say they fix problems as they arise. Homeowners insure their homes against typical losses — 89 percent have standard insurance — but only 39 percent are covered for storm damage from things such as tornadoes, hail and falling trees. Only 5 percent of homeowners plan to sell their home in the next year, and 63 percent have no plans to sell. Eighty-three percent of homeowners say they love their home. The following analysis of the Washington, D.C. Metro and Baltimore Metro Area housing markets has been prepared by Elliot Eisenberg, Ph.D. of MarketStats by ShowingTime and is based on September 2018 Bright MLS housing data. The Washington D.C. Metro median sales price rose 3.7% or $15,000 to $420,000 compared to last year. Prices are, by far, at the highest September level of the decade. Sales volume across the DC Metro area was more than $1.8 billion, down 7.0% from last year. The 3,636 closed sales in September were down a significant 10.0% compared to last year and were at the lowest September level since 2014. New pending sales were also down notably, with 4,444 new pending sales at the end of September, down 7.6% compared to last year and also at the lowest September level since 2014. New listings of 6,742 were down 3.3% compared to last year. Active listings of 10,539 were also down 3.3% compared to last year. The average percent of original list price received at sale in September was 97.7%, up just slightly from last year’s 97.6%. The median days-on-market this month was 17 days, down three days from last year. https://vagolfhomepro.com/wp-content/uploads/2017/10/tyler.png 0 0 Tyler Ohta https://vagolfhomepro.com/wp-content/uploads/2017/10/tyler.png Tyler Ohta2018-10-10 18:42:442018-10-13 18:44:12September Housing Market Update! You’ve worked hard to get your home ready to sell. You’ve cleaned, decluttered and painted. But there’s still one more thing you need to do – make certain your home smells great for every showing. Stuffiness. Energy-efficient homes lock in odors. Open the windows and air out stale, musty rooms. Steam clean carpets and curtains, wash all bedding, and store stinky athletic gear and out-of-season clothing and shoes away. Pets. From goldfish to iguanas to cats and dogs, all pets produce odors. Dogs need baths, and most need brushing. Cat boxes need daily scooping. Animal cages need constant cleaning. Steam clean all fabric surfaces where pets sleep and play with their toys. Food odors. If you love foods like garlic, cabbage and fish, your kitchen holds odors, too. Clean your oven, burners, sink drains, and any other equipment that may carry odors. Grind up a lemon in the disposal and let the water flow. Clean out the refrigerator. Mold and mildew. If you can smell moisture, it will soon turn worse. Check pipes and floors for leaks. Toxic mold can grow anywhere that contains cellulose, poor light, and low air circulation. Replace cloudy shower curtains and wash towels frequently. Replace cleaning and dish sponges with fresh scrubbing tools. To keep your home showing-ready, wash dirty clothes and bed linens frequently. Take baby diapers and other disposables to the outside trash every day. A good rule of thumb is – if you can’t remember when you cleaned it last, clean it now. 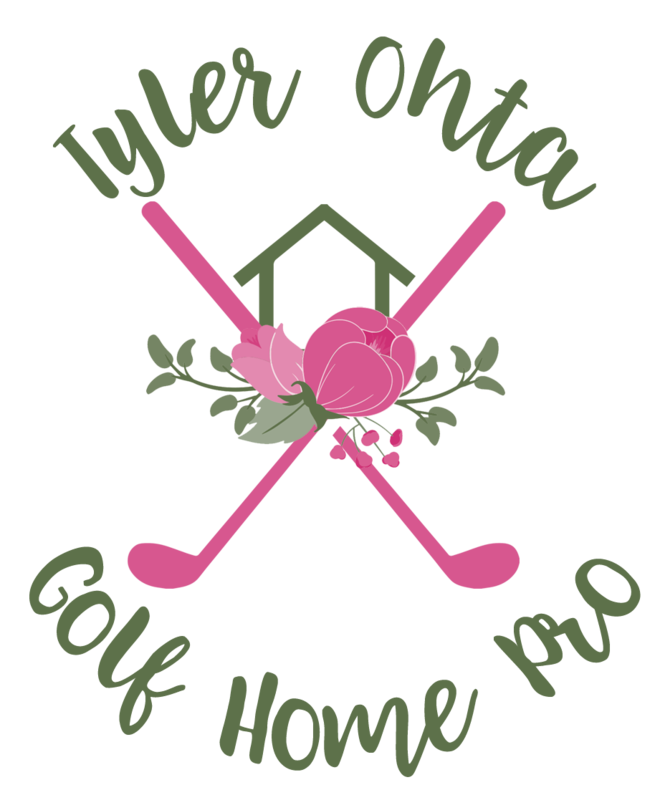 https://vagolfhomepro.com/wp-content/uploads/2017/10/tyler.png 0 0 Tyler Ohta https://vagolfhomepro.com/wp-content/uploads/2017/10/tyler.png Tyler Ohta2018-10-07 19:00:512018-10-13 19:01:31Does Your Home Have an Odor? According to the Federal Reserve, the primary residence accounts for about one-quarter of all assets held by households, ahead of other financial assets, business interests and retirement accounts.